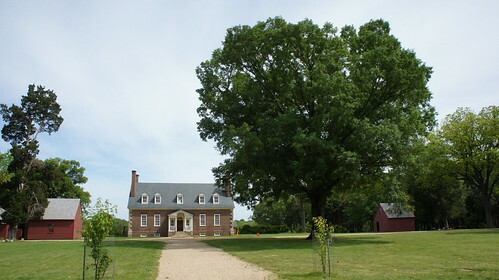 Gunston Hall, home and estate of U.S. patriot George Mason, follows the familiar pattern of Virginia plantation estate-turned-museum that we had seen before at Mount Vernon, Monticello, and Ashlawn: visitor center with parking, set off from original mansion with guided tours through restored rooms (no photography), outbuildings and reconstructed slave quarters to the side, and gardens and grounds and burial site of the patriot in question. 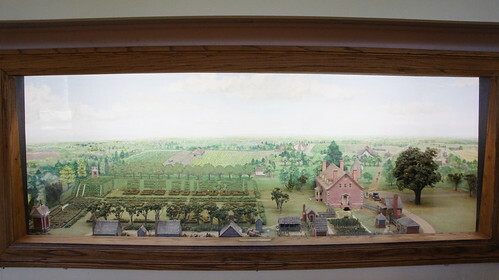 Being somewhat less famous than other Founders’ estates, parts of Gunston Hall showed signs of some age and neglect: notably missing artifacts and dead lights in the visitor center museum. We were the only two people there for the 4PM guided tour, with just a handful of people visible on the grounds at all. The house and grounds themselves were in fairly good condition, however. 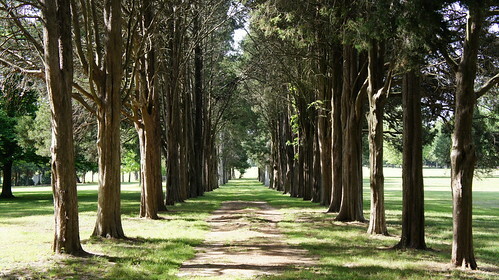 We toured the two-level house, the outbuildings, the boxwood garden walkway, the bluff overlooking the Deer Park, and the Mason Burial Ground, accessible down this tree-lined path. Before leaving the area we decided to turn away from Lorton and see what Mason Neck Park had to offer in the way of vistas. So we drove to the very end of the road (paying a $4 parking fee at a gatehouse) and ended up at a little visitor center with a nice view of the Occoquan River where it meets the Potomac. There were kayak and canoe rentals, and birdhouses along the shore. 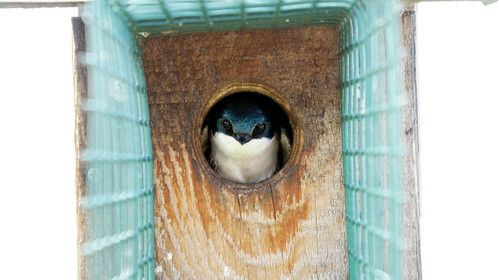 We found a tree swallow peering out from a birdhouse set up by VBS. 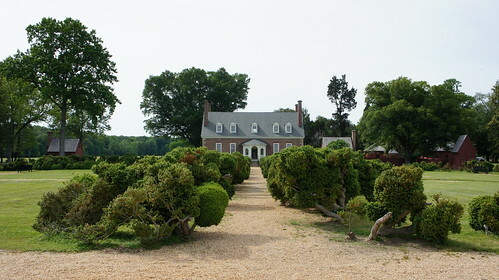 Then, a drive back inland to Lorton to view artists’ galleries at the Lorton Workhouse Arts Center Open House event. 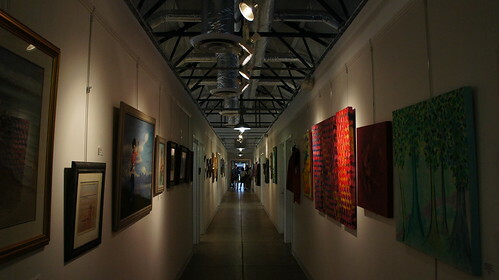 A former federal penitentiary, Workhouse had been turned into a community of artists leasing studios in converted work buildings. A wide variety of artists had work up, and each building had its own spread of art — and food — for visitors. 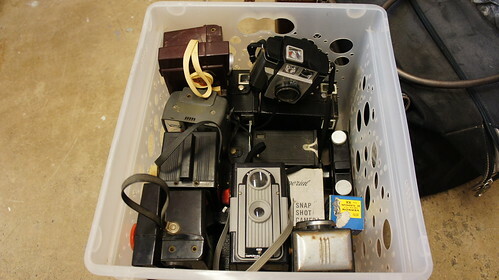 I was especially enthralled by Kevin and Crystal Rodrigue’s bin of old — and working! — cameras. As an added bonus to a full day, we found an alternate route back home from Lorton that went quite fast up Ox Rd into Fairfax, which saved me the stress of driving up I-95 and the Beltway. Full photoset from our Lorton Saturday here.